Middle school denizens of the Northern territory of District 95, Lake of Zurich, United State of Illinois: The Viper comes in peace but he comes with washtub, jug, and, probably a cümbüş (don’t ask) in hand. Beyond that date, there be monsters. But fear not: we’re just that good. I’m looking forward to my second annual virtual residence with the LZOrk-ers for your Spring 2017 concert. Mr. Broach and I have some fun and challenging music planned for all y’all, and I hope you’ll challenge us right back. The Intermezzo Orchestra will be working with a little trash-talking piece I wrote as the type of thing that should take five minutes to learn and a lifetime to master. (Like Othello!) It’s about as simple as it gets — a twelve-bar blues in a ragtime/stride style — and our work with it should be a good example of the way most non-classical musicians learn and develop new music. You’ll have a written template for the melody. But, truth be told, most of the “information” to be transmitted about this tune and its style is something you’ll have to learn by ear: you’ll hear me play the melody and “figure out how it goes” by playing it back and then memorizing it. We’ll also try to work out ways, as a group, to produce bass lines and other accompanying parts and to introduce some development to this basic theme — including, if all goes as planned, a little “concerto mini-grosso” band-within-a-band bit for two washtub basses and jug. Whatever we end up doing, our performance will be a unique arrangement and orchestration of the piece — something that’s never been played quite the same way before, and won’t ever be played the same way again. Here’s a “scratch track” version of the song as recorded by the group that Mr. Broach and I perform in together, The Viper & His Famous Orchestra. A scratch track is a rough-and-ready reference recording that a composer or a group makes in rehearsal — basically, so they can come back later and remind themselves what they figured out. This is faster than we’ll do it, but you’ll hear how this song works as a kind of conversation between all the performers. With the Chamber Orchestra, we’ll be working on a piece that has been described as “the worst song ever written” (it was described that way by me!) and one that, when performed before an audience of children, produced cries of “Liar!” (I had to explain to those kids that sometimes the truth hurts). …and see just how little we can do with it and still end up with something that sounds like something that actually sounds like something! The development might not be melodic — indeed, with this piece, the refusal to move away from the basic theme is really the joke — but instead might be in terms of the dynamics, or the sonority of the particular mix of instruments, or bowing/plucking techniques, or playing the melody backward (“retrograde”), upside-down (“inversion”), or, for the truly brave of heart, backwards AND upside-down (“retrograde inversion”), etc., and we will work this out in our rehearsals. Truth is, even prior to the last century, there was a tradition of this kind of thing, whether we’re talking about monks chanting, or Indian ragas or Turkish taksims, or Beethoven’s meditation on a minor-third interval with a short-short-short-long rhythm in his 5th Symphony. But, trust me, Lake Zurich ain’t heard nothin’ like we’re going to lay on them with this. 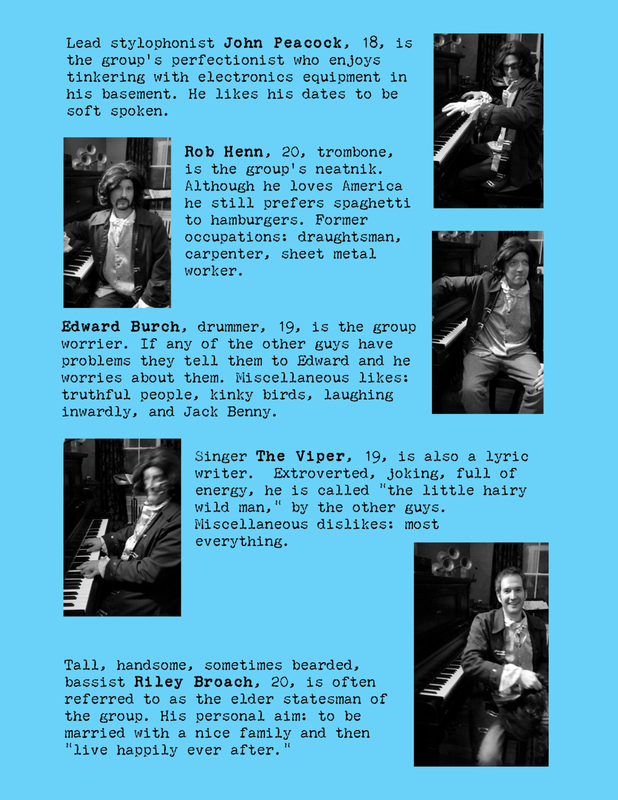 Here’s a three-person version as performed by The Viper, Mr. Broach, and our colleague, Rob Henn. Now think of what we can do with a full orchestra! Liar!LZOrkscratch tracktrash-talkingViperityYou ain't heard nothin' yet! I have no gift to bring, except the gift of a history of Viper holiday recordings of heterogeneous provenance & widely varying sonic quality. If you’re a “lay back” consumer of mass culture, then just click on the playlist above and let the sounds carry you off on their Valkyrie wings, like you’re listening to a Maxell cassette tape. Or just crank up the following YouTube playlist for a somewhat abridged version of this list. But if you’re a “lean in” listener, then lean in, Macduff, and read about, listen to, and (if you like) download the songs in the rest of this post. Still something that the band considers a “new” song — and I guess it is, given the geological timeframe in which The Viper & His Famous Orchestra lives and breathes — this song actually had debuted at Nino’s Steak & Seafood, on December 21, 2010, at a solo gig that my Mom booked for me playing at the annual Christmas luncheon of the American Association of Retired Persons, Sheboygan (Chapter 338). 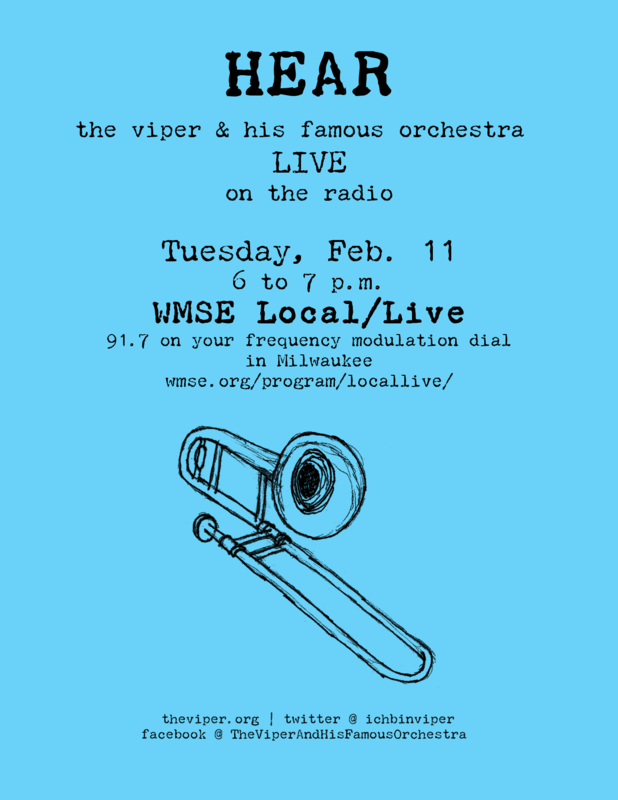 The video above is a rehearsal track recorded at the Viper’s home in November 2013, and the audio track below is from our February 2014 appearance on Milwaukee radio station WMSE’s Local/Live program (entire show can be listened to here, with my textual transcript of the first half here). Written by my daughter, then 6, in a language more or less of her own invention (“Feliz” excepted), this song has been performed live maybe only once: at the same AARP luncheon noted above, where I attempted to lead a sing-along — always best attempted with a song no one has heard before in a language that nobody knows. But the audio below is the real deal: triple-tracked Irene Vipersdottir in a nicely spooky round with herself. The Vince Guaraldi Trio’s theme music from A Charlie Brown Christmas (1965). The video above and audio below are both the same December 2010 performance from my lower flat rental on Hi Mount Blvd. in Milwaukee, but the audio version is juiced up with interface effects that seemed like a good idea at the time. Hope you like your Christmas music melancholy, because that’s what yer gettin’. Play along with the bouncing music — right there on the screen! — in the video above, or just listen to The Viper & His Famous Orchestra playing this Hanukkah answer to the old-time classic “Hot Corn Cold Corn” live at Mike N’ Molly’s in Champaign, IL, in August of 2009 (recorded by Nick Hennies). The bowed bass solo is Riley Broach, the trombone is Rob Henn, and while the Viper plays cümbüş, he’s doubled on electric mandolin by Kip Rainey. Maybe my favorite Christmas song (by Sammy Cahn & Jule Styne), the video and audio were both recorded on probably the same day with the same banjo ukulele on the same staircase in the same rental house on 59th Street, right off Milwaukee’s great Vliet Street. I interpolate a little bit of the Pogues’ “Christmas in New York,” because my motto is: if it ain’t broke, break it! The other Vince Guaraldi song you probably know, also from the 1965 Charlie Brown Christmas special. But you’ve probably not heard it played on a thumb piano hacked to allow for a flatted 7th. Until now. There are some songs you just can never get enough of. And then there’s The Viper’s versions of Vince Guaraldi’s “Christmas Time Is Here,” this time done in High German Schroeder-style on a toy piano. Though unknown to The Viper at the time, he and His Famous Orchestra were recording this homage to elf individuation for a holiday compilation that Edward Burch pulled together called “Santa Is Real,” featuring a number of Champaign-Urbana resident or affiliated bands and musicians. It’s a cover of a John Papageorge-penned tune from my undergraduate Madison, WI band, Kissyfish. Here’s both versions. One of the two songs for which I’ve created a piano/vocal/ukulele sheet music arrangement (available here), this song tells the tender tale of the St. Nicholas fellow traveler who stuffs naughty children into a sack and steals their oranges. I wrote this song. Or I wish I did, since people seem to really like to sing it. And here’s Irene Vipersdottir doing it in her inimitable style at age 5. The “Chocolate Rain”-like thing you’ll see her doing with her fingers is measuring the distance I’d told her to keep between her mouth and the microphone. And that’s it – happy holidays! AARPbreaking thingscheap giftsCome to me my melancholy Christmaself individuationgeological timeframehacked thumb pianosHanukkah answer songsHigh German Schroeder Stylelay backlean inpass the micwhat happens to naughty children on St. Nicholas day? 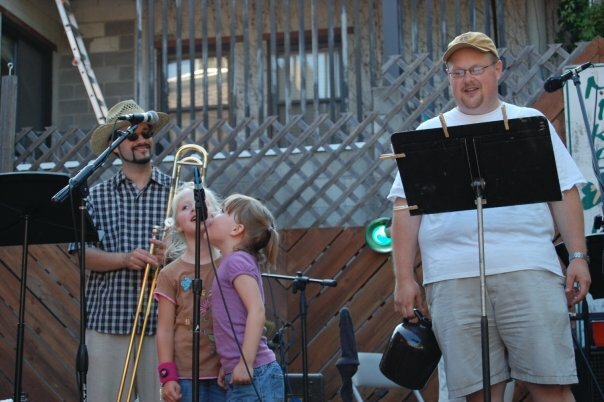 We’re very excited to announce that tuba/jug player Jerry Shelato will be joining us as The Viper & His Own Sins Writ Large In Others take to the stage on the Mickey’s Tavern patio in Madison on September 8, 2014 (1524 Williamson St., Madison, WI 53703 | (608) 251-9964). If you’re in Madison, or can get there by hook or by crook, then please think about coming out. This will be the last of our summer-ish shows on the outdoor patio, unless the thunder speaks and a damp gust brings rain over the arid plain and dead mountain mouth of carious teeth that cannot spit. Opening will be The Viper & His Second String. The Second String features me, Madison’s own Rob Henn, 52nd Street’s own John Peacock and a washtub bass, roaming wild and off-mic as we invade your personal space. The Own Sins Writ Large in Others add Jerry Shelato. Long-time listeners first-time callers will remember Jerry from our set performing music from The Simpsons at the Great Cover-Up in Champaign, Illinois in 1998. You will remember, won’t you? 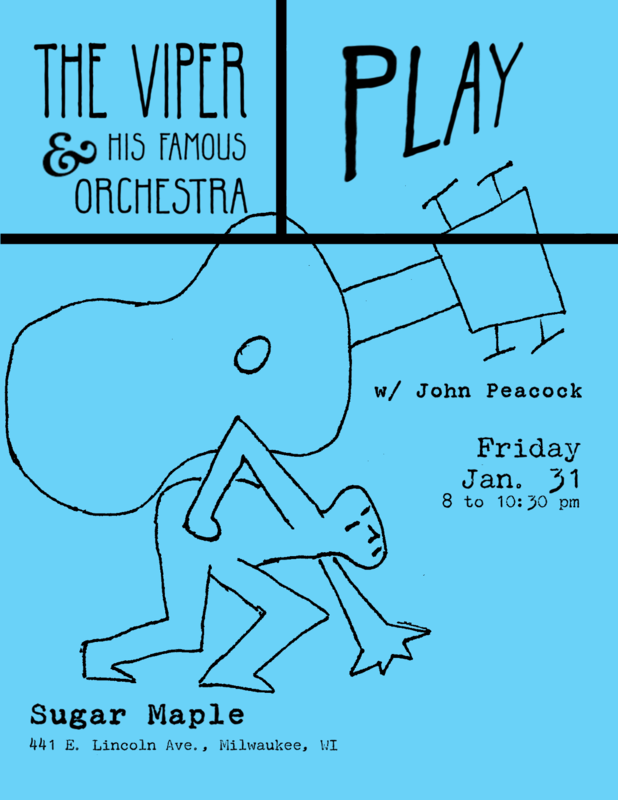 On January 31, 2014, The Viper and His Famous Orchestra played their first full set of stuff NOT played in John Peacock’s living room or on his front porch. We played two sets of material at the lovely cabaret-style back room of the Sugar Maple in Milwaukee’s Bay View neighborhood, with a nice full set in the middle by, of course, John Peacock — because you just can’t keep a good man down. 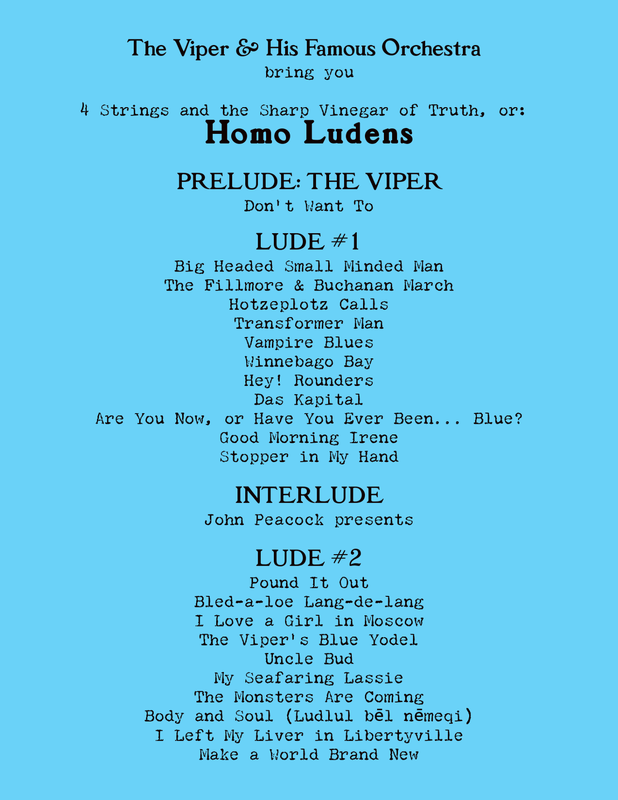 As you’ll see from the images at the bottom of this post, we handed out a program for the show, titled “4 Strings and the Sharp Vinegar of Truth, or: Homo Ludens.” For those not inclined to read the words in images, here’s the list of songs we played. Are You Know, or Have You Ever Been… Blue? * Slight change to the program: played as an encore. Though listed in the program, “Make a World Brand New” was not played on this evening. So be sure to ask for it next time! Famous Orchestra trombonist Rob Henn and I have been working in fits and starts to make theviper.org web site a little less hostage to that particular brand of Viper obsurantism in which I tend to traffic and a little more user-friendly for, oh, say, people who might want to listen to our music some time or even maybe book us for shows. As a part of this effort, the newly streamlined “About/Contact Us” page of this site has, along with our contact info and a description of our sound/approach that’s as transparent as I can stomach, also a fun little gallery of candid, posed, and performance photos taken over the years…just to prove that we really exist! The picture above is just a taste: for the full gallery, go here.